(Manila-Geneva) – Close to three-quarters of exporters and importers in the Philippines suffer from non-tariff measures (NTMs), according to a survey conducted by the International Trade Centre (ITC). The findings on NTMs in the Philippines are the result of a business survey conducted in 2015 and 2016 by ITC in collaboration with the Department of Trade and Industry (DTI), which set out to identify the main barriers to trade faced by the country’s private sector. Almost three-quarters of the 1,150 companies interviewed said they were affected by burdensome regulations – that’s one of the highest rates in Asia, according to other ITC surveys conducted in the region. The survey found that trade within the region seemed less restrictive than with partners belonging to the Organisation for Economic Cooperation and Development (OECD), such as the United States and the European Union. One reason is that most exporting and importing companies in the Philippines face difficulties in complying with foreign technical requirements and conformity assessment procedures – such as fumigation and labelling regulations or product certification and testing – which are often stricter in developed countries. Filipino exporters also experience NTMs related to rules of origin for which the delivery of related certificates often generates unnecessary costs and delays in domestic institutions. Another difficulty faced by exporters is national export-clearance processes, which occur in local administrations, and mainly concern high fees and administrative burdens. Interviewed companies mentioned 50 public and private institutions involved in NTM-related procedures, suggesting a heavy administrative cost of compliance. Survey results formed the foundation for a meeting of more than 60 representatives of government and the business community, who gathered in Manila on 29 June to discuss the NTM findings and explore ways to overcome them. In her opening remarks, Ms. Nora K. Terrado, Undersecretary of DTI, underlined the usefulness of survey results for evidence-based policies and urged participants to collectively work towards overcoming both internal and external challenges to trade. ‘It is through [working together] that we can identify concrete projects, remedies and solutions that will enable the formulation of better policies, as well as national and sectoral action plans,’ she said. During the meeting, a dozen proposals were proposed to speed up the compliance of Filipino products with foreign regulations, streamline export and import clearance, and simplify customs procedures. The recommendations will help formulate trade policies and trade-related technical assistance projects at the national and regional levels. They will notably feed into the country’s export development plan, which aims at rebalancing the economy from being consumption driven to being led by investment and exports. ITC will continue assisting the Philippines in these efforts and will support the country on its way towards greater private-sector competitiveness and trade development. The results of the survey in the Philippines and recommendations of the roundtable will be published in a country report as part of the ITC series on NTMs. ITC is the joint agency of the World Trade Organization and the United Nations. 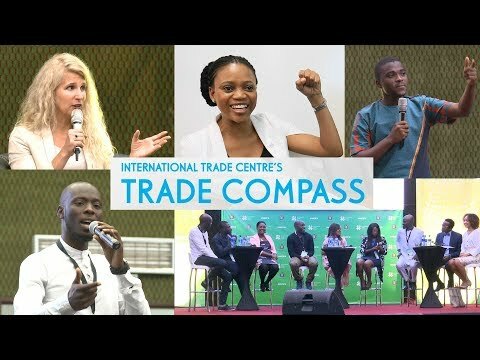 ITC assists small and medium-sized enterprises (SMEs) in developing and transition economies to become more competitive in global markets, thereby contributing to sustainable economic development within the frameworks of the Aid-for-Trade agenda and the United Nations’ Global Goals for Sustainable Development.